Huawei hasn't had the best of luck lately. Both Verizon and AT&T dropped their phones from their line-ups following government pressure, forcing the Chinese company to sell their new Mate 10 Pro unlocked through third-party retailers such as Amazon, Best Buy and B&H. However, it seems the company isn't going to let those setbacks slow them down. According to The Verge, the company could be working on a triple-lens rear camera for one of their upcoming smartphones. 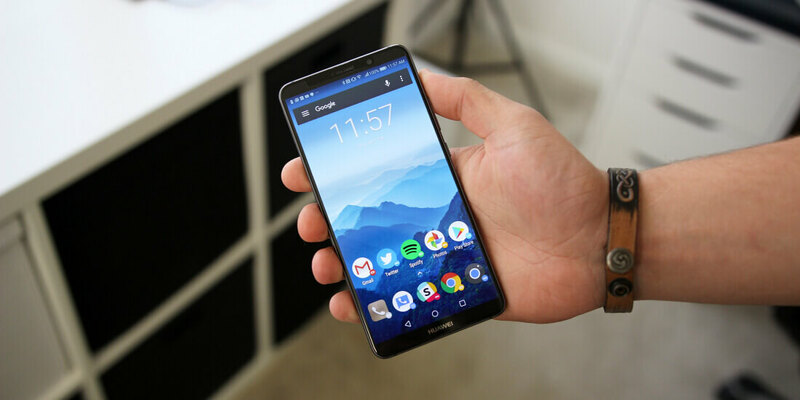 These rumors began in December when Android Central reported one "usually reliable leaker" discovered images from a "digital artist at one of Huawei's creative agencies." The images seemed to hint at a triple-lens, 40-megapixel rear camera setup in the upcoming P20 device. Now, the company has sent out invites to their upcoming press conference in Paris that contain the "See Mooore with AI" tagline. This line, in addition to the strange triple-O background design, seems to reinforce these rumors. In related news, OnLeaks and TigerMobiles seem to have dug up some early P20 Lite factory renders, revealing the device may feature a similar "notch" to the one seen on the iPhone X. Regardless, none of this has been confirmed by Huawei so only time will tell whether or not these rumors will prove to be true.